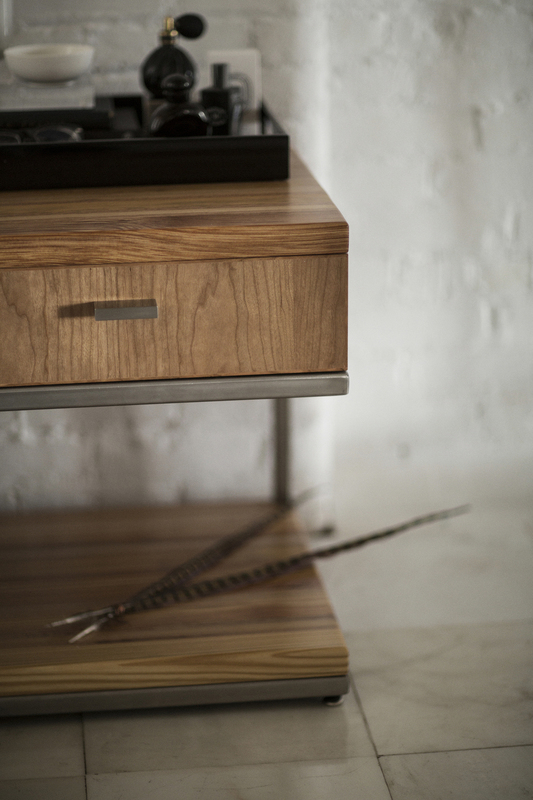 Whether it’s used as a side table or nightstand, this exquisite piece will fulfill all expectations of functionality and style. 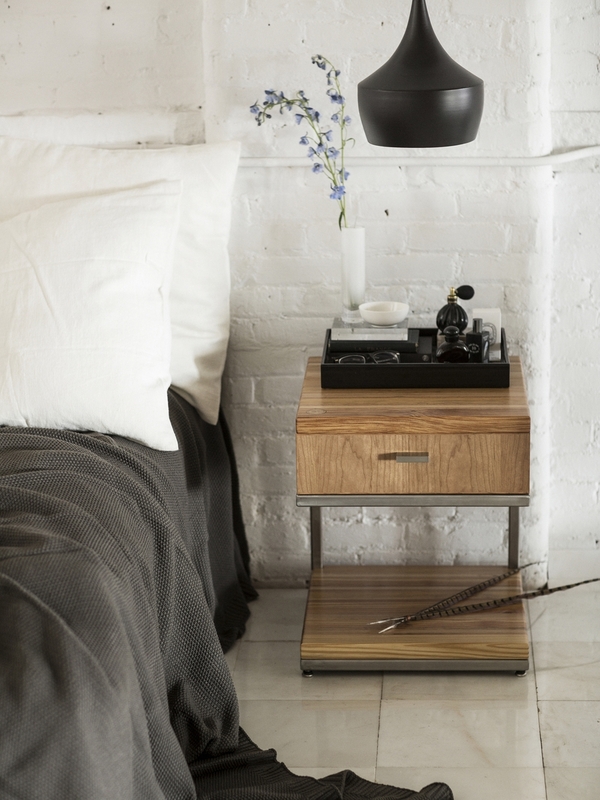 The Mather Side Table/Nightstand’s base is constructed from 1” high grade 304 stainless steel square tubing. 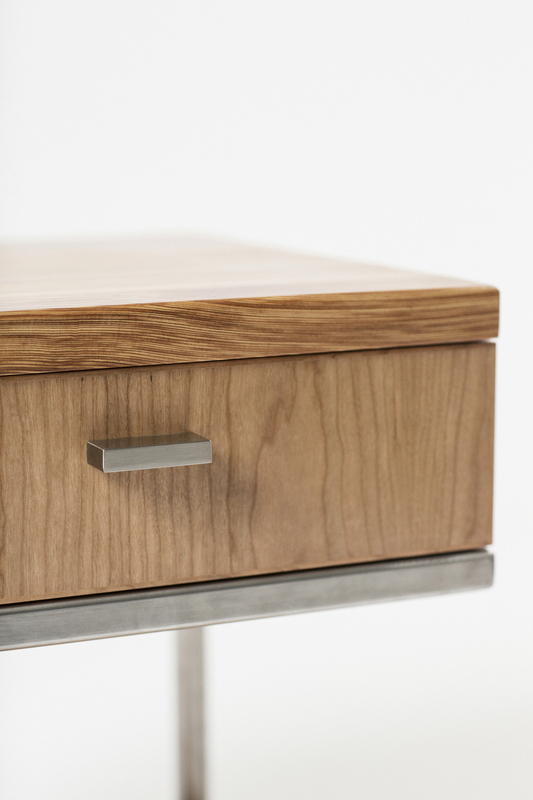 The drawer box is composed of FSC Certified Birch Ply with FSC Certified Cherry Ply face. 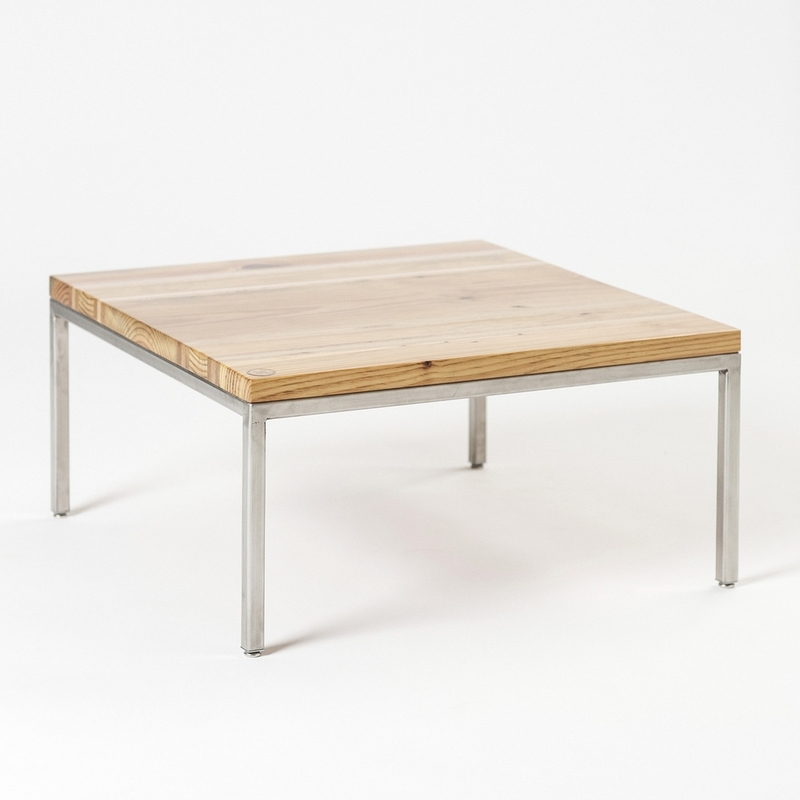 The surface is 1-1/2” thick handcrafted reclaimed pine with oak and maple accent striping; Available in both a rich mahogany and natural finish. 18" x 18" x 21.5"